I won’t get tired of saying it: there’s a huge lack in the area of bilingual and Spanish board books for the littlest ones in the house — unless of course they’re brought from outside the U.S. 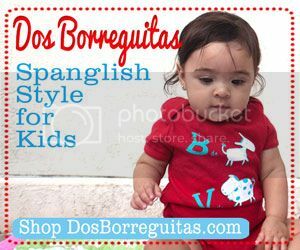 Apparently, I’m not the only one who thinks so because Children’s Book Press, one of our favorite multicultural publishing houses, recently announce its plans to start releasing bilingual board books for children ages 0-5. I’ve been a big fan of Maya and her work ever since I discovered her books at our local library. I got the opportunity to get to know her a little better when I interviewed her for an installment of ReadMe — in which I reviewed her book I Know the River Loves Me — and for a freelance article I worked on last year. She is superb and so is her bold work. 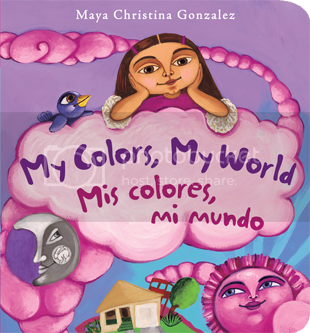 My Colors, My World/Mis colores, mi mundo was originally published as a picture book in 2007. Written and illustrated by Maya, it has won the prestigious Pura Belpré Honor Award for Illustration. Like the title clearly states, this is a journey through Little Maya’s world through color. My son, Santiago, is learning about two or three words per day. His vocabulary is expanding at an amazing rate, in part, thanks to his older sister. Vanessa likes to climb into her brother’s crib in the morning and “read” to him or get him to repeat words. Just the other day, I heard her (over the baby monitor) trying to get him to repeat the names of the colors. When I walked into Santiago’s room a little while later, I realized she had picked up Maya’s board book — which I had read to them the night before — and she was using it to teach him the names of colors. I can’t wait to discover all the other bilingual board books that will be published in this new series. Vanessa will be learning to read in a few months and I’d love for her to be able to read board books in Spanish to her little brother. We’re giving away a copy of My Colors, My World/Mis colores, mi mundo. To enter this giveaway, please share with us the name of your favorite bilingual or Spanish board book. 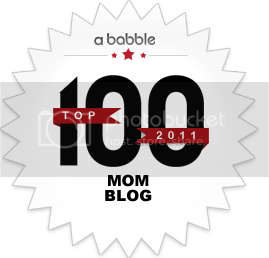 This giveaway ends at midnight EST on Tuesday, May 31, 2011. Entries/Comments that do not follow the submission guidelines will be invalid and automatically deleted. Sorry, just need to keep it fair. Good luck to all! 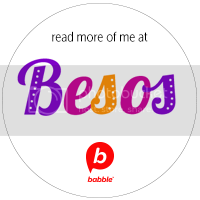 I don’t have a favorite bilingual book. But we’ll find one soon because my kids are in a pilot DL program in Austin. They’re still building up their Spanish library, so I’ll donate this book to them if I win. I don’t know a lot of bilingual books, but one I like is Hairs/Pelitos by Sandra Cisneros. We have a few board books by Eng/Sp Foundation series (colors, weather, numbers). My sons love these books because they can hold them and easily turn the pages. My daughter loves Los colores de Elmer and El libro del Osito. Well I just recently saw that The Very Hungry Caterpillar is offered in a bilingual book form, so we will be getting that as we love that book! Our daughter Camila loves the book Colors/Colores by Eric Carle. I love going to Thrift Stores to find books for my little one. I come home with a ton of new books for her and she loves them. I even find school books that have just stories. Those are her favorite. Before my daughter Sofia was born I found a book called “la cama grande de Sofia” on Amazon.com. We read it every night. 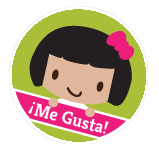 She also enjoys reading “Me gusta cuando…”. Those are just a few we have. Diana´s last post ..GIVE ME A FIVE-CHOCA ESAS CINCO! My favorite bilingual board book, based on popular demand from my kindergarten students and my two nieces, is Bright Baby’s “Animals Animales.” Kids just love los animales and they love being able to say their names in English and Spanish. Favorite word so far: pingüino. We love “Nancy la Elegante” or Fancy Nancy. But of course we have the Spanish version. I haven’t seen fancy Nancy en español I’ll be on the look out. One of my first favorites was ¿Eres mi mama? And ¿Dónde esta el ombligo? about body parts. I think I purchased both of those through Scholastic. I just found a book called “Este no es mi monstruo” and think it’s adorable! I have the same type of book, “That’s not my puppy,” in English, so it was fun to find a Spanish version of a different subject. There’s touch and feel parts to each monster and great vocabulary describing them. Mother Fox and Mr. Coyote/ Mama Zorra y Don Coyote by Victor Villasenor. One of my favorite bilingual board books is Siesta. My daughters (4 years old and 8 months both love it). Beautiful illustrations by Rene King Moreno.